Bethany earned her Master’s Degree in Art Therapy/Counseling from Southwestern and is honored to return to Tierra Nueva Counseling Center as a Licensed Mental Health Counselor practicing Art Therapy. She is trained in EMDR, Sand Tray Therapy and Mindfulness/Meditation practices. 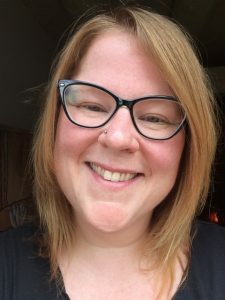 Bethany focuses her practice on supporting those seeking deeper self-knowing and presence through transpersonal & experiential practices that incorporate depth work. Passionate about her work, Bethany works from a heart-centered, mindfulness-based, eclectic and integrative approach focused on helping her clients create and live the life they desire. She calls this Living in Alignment. Bethany creates a safe, encouraging and inspiring therapeutic space and works with you to achieve your goals. She specializes in self-esteem/empowerment, anxiety & depression, trauma work & infertility and likes to incorporate skill building to help increase clients’ resiliency & self-regulation skills. She is passionate about mindfulness, self-compassion & conscious loving. She offers individual, couples and group counseling.